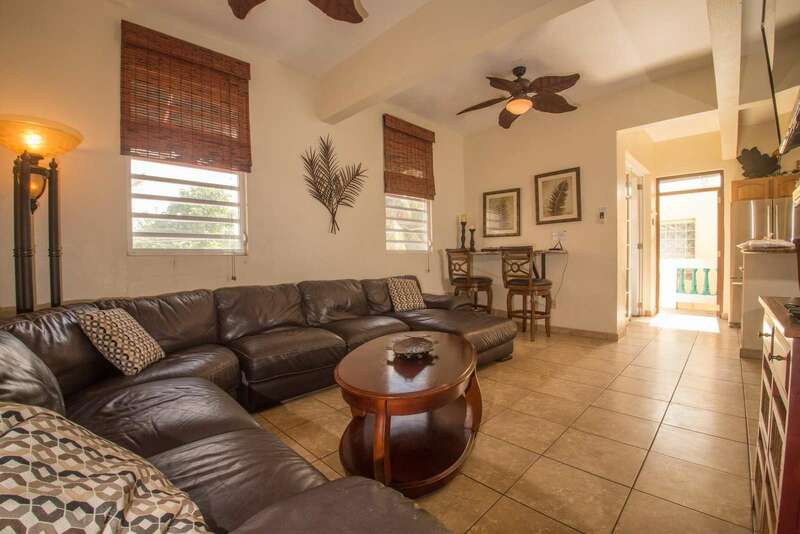 This five bedroom upper villa has plenty of room for larger groups and families. 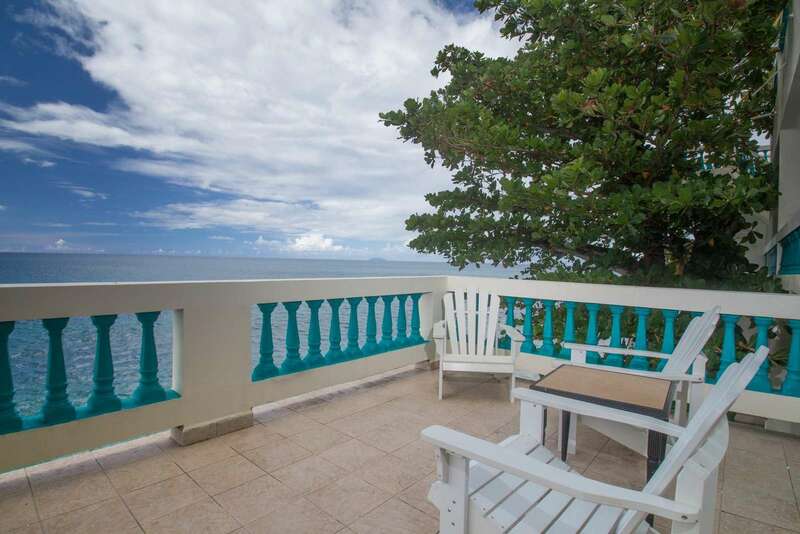 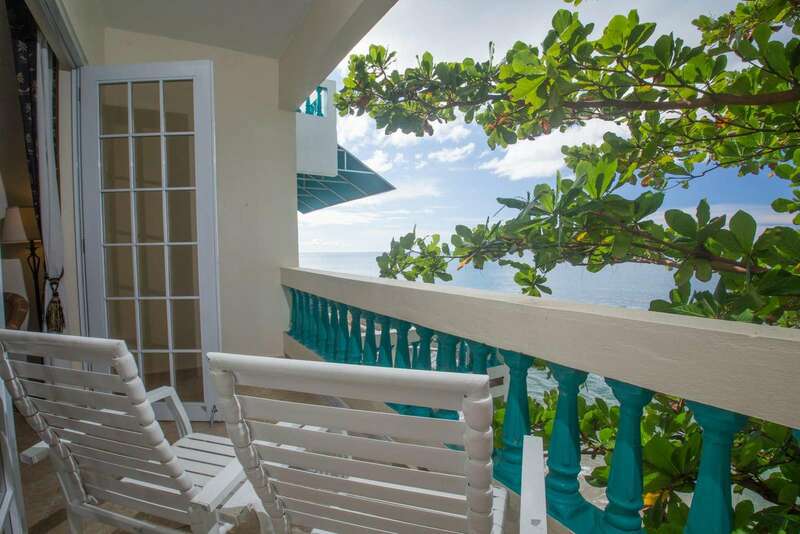 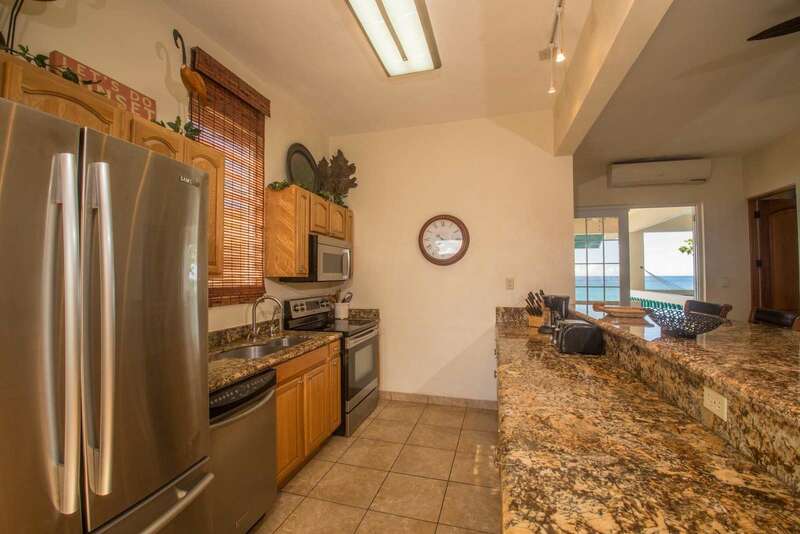 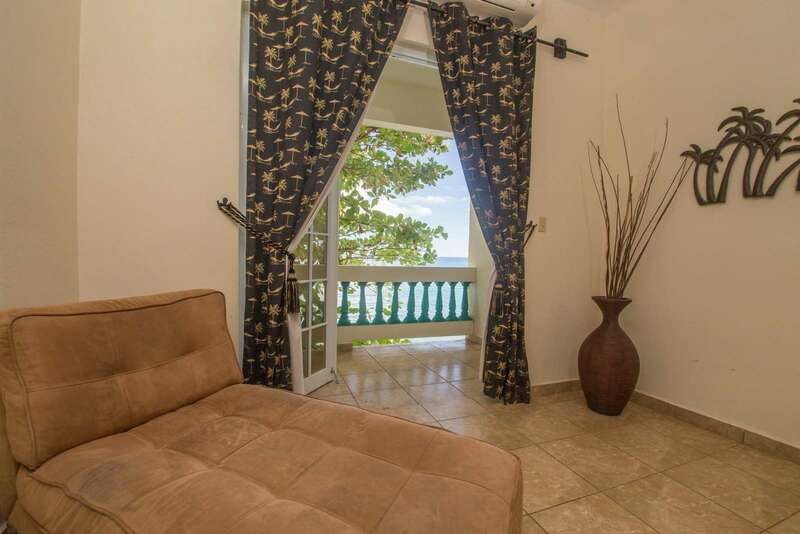 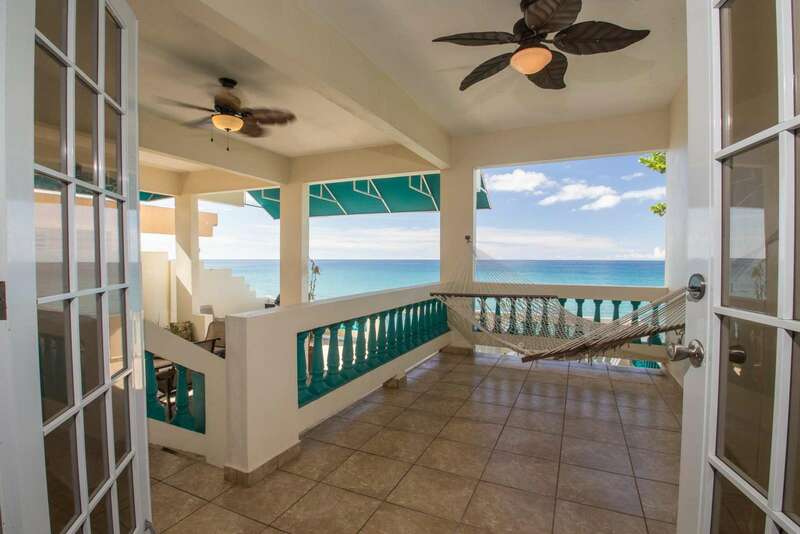 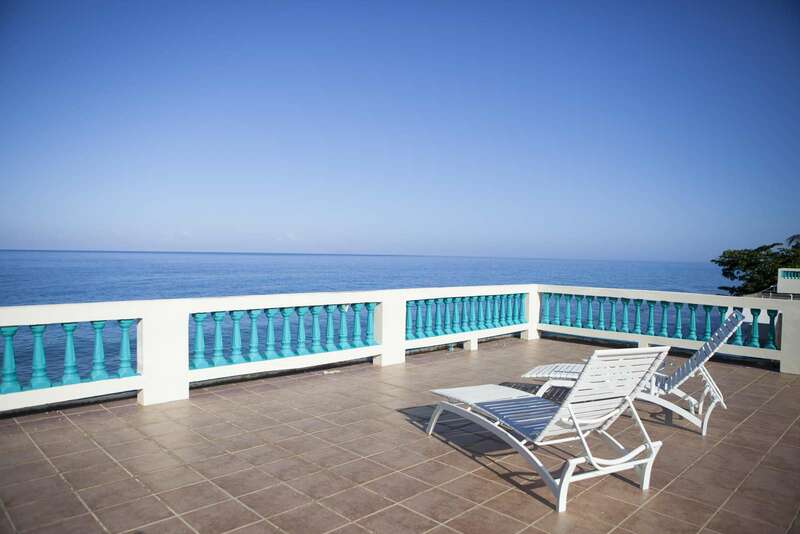 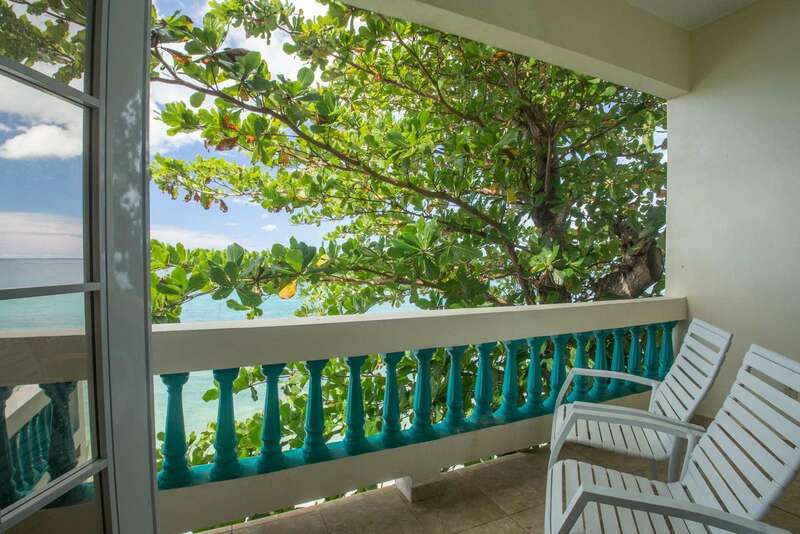 Three bedrooms are oceanfront with breathtaking views. 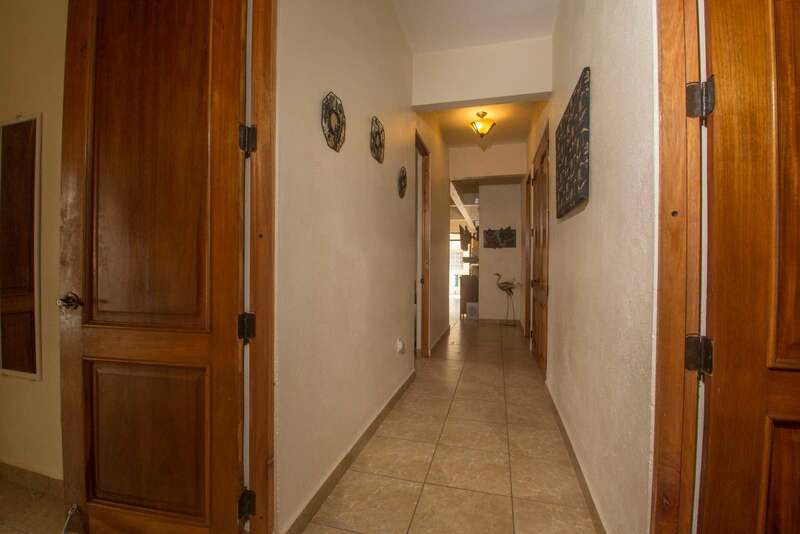 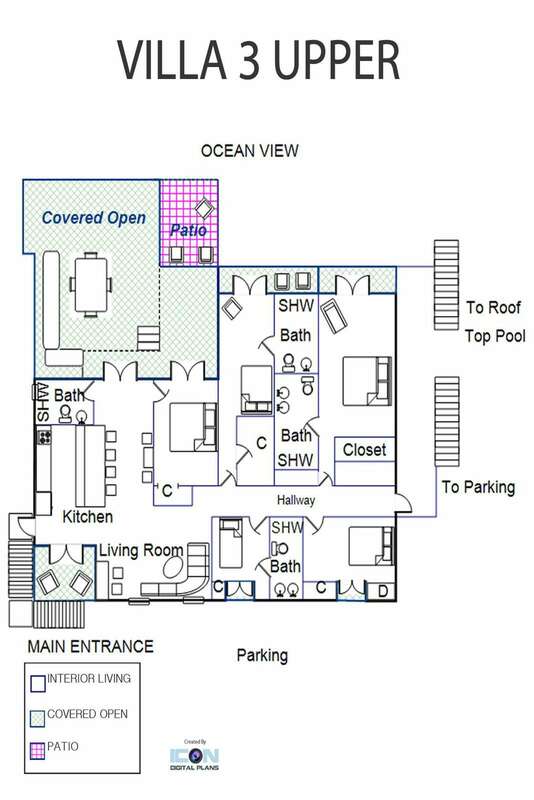 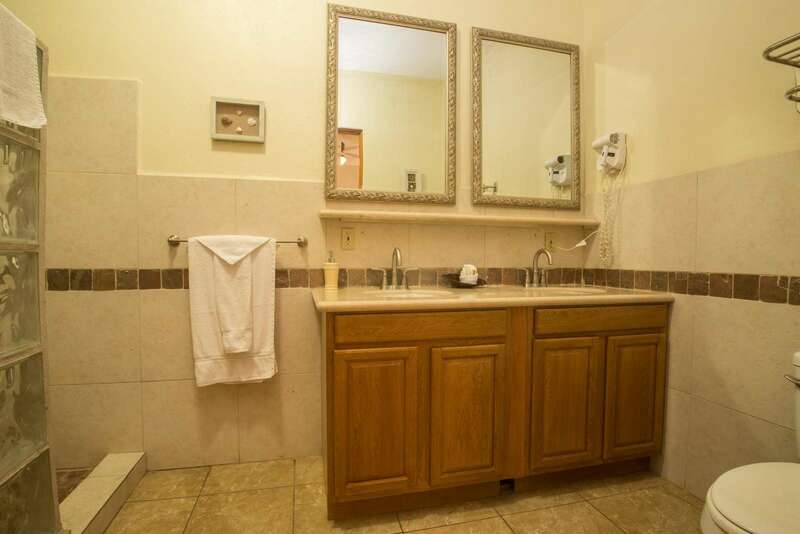 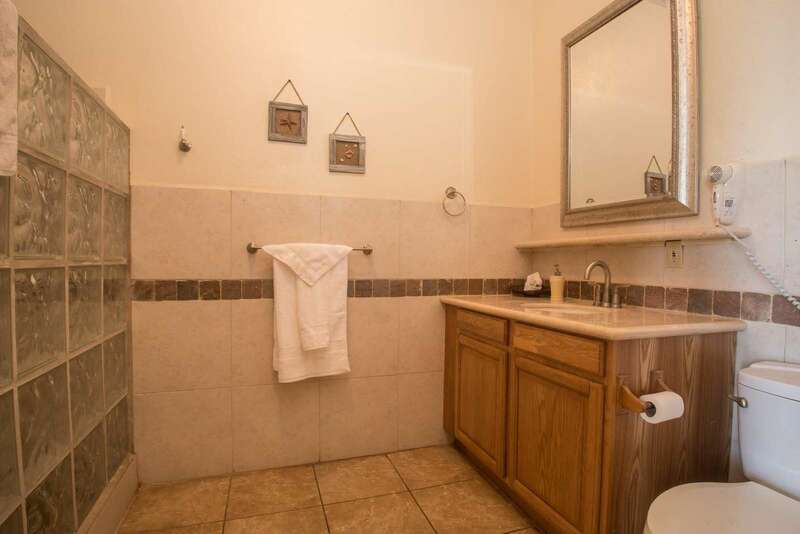 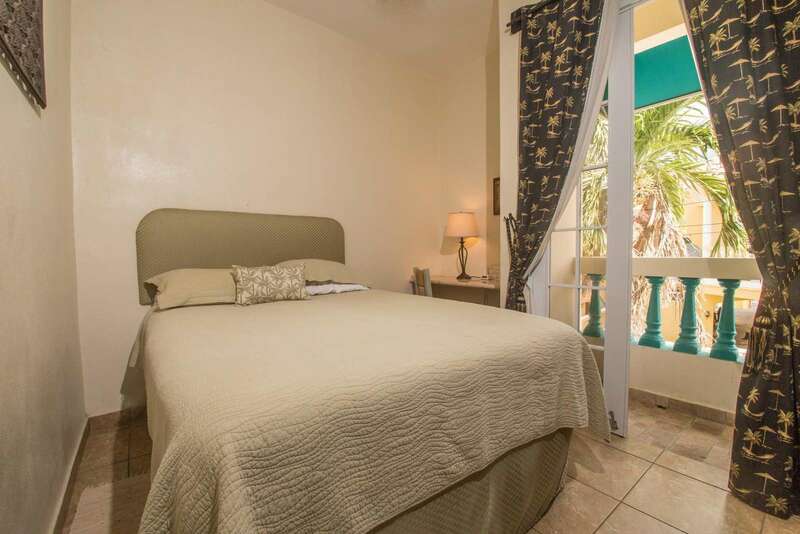 All bedrooms have doors opening up to a balcony, four of which are private. 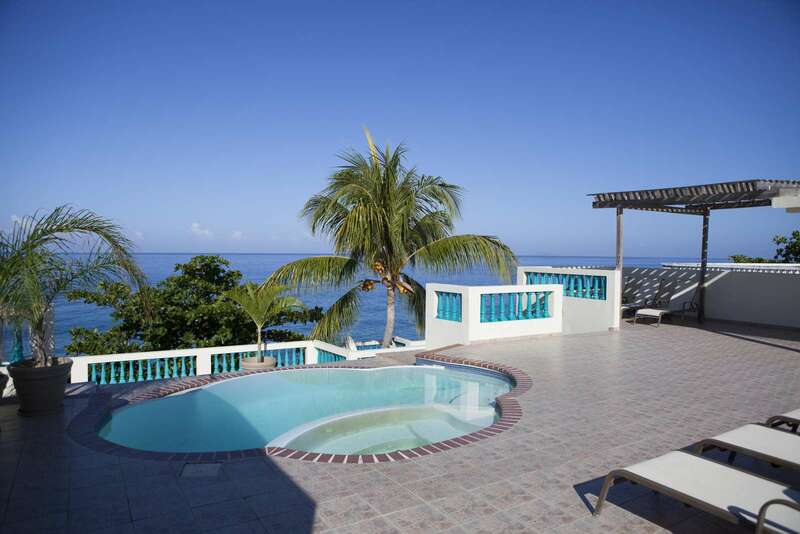 This five bedroom upper villa has plenty of room for larger groups and families. 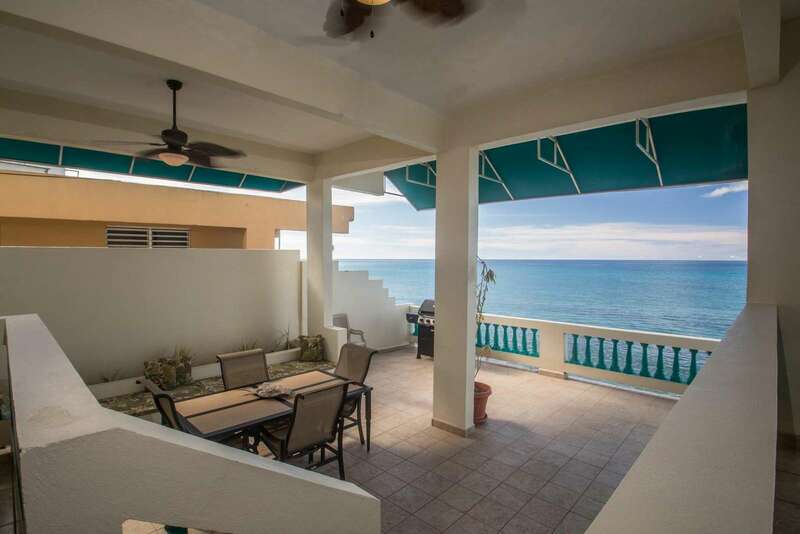 Three bedrooms are oceanfront with breathtaking views. 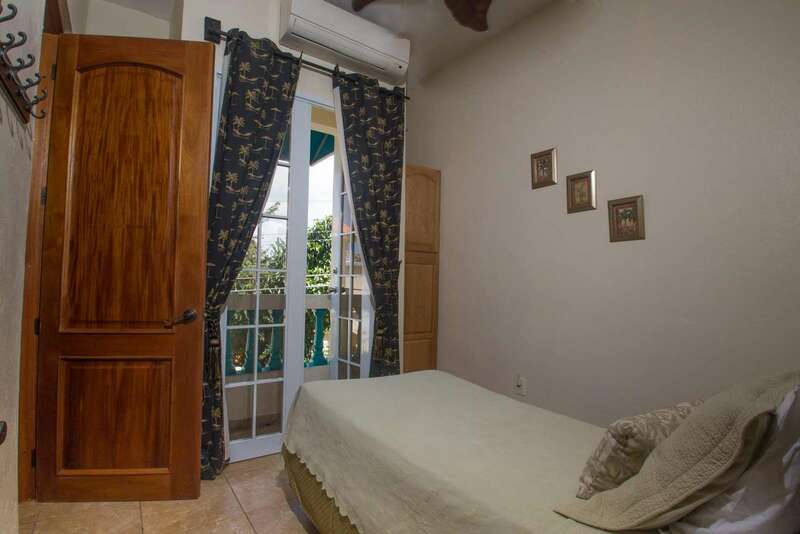 All bedrooms have doors opening up to a balcony, four of which are private. 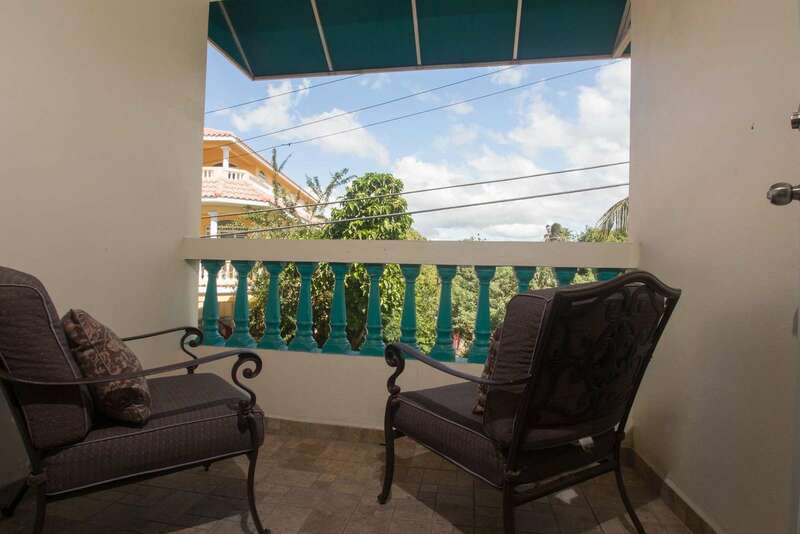 There is an additional quiet, street-side balcony just off of the living room area. 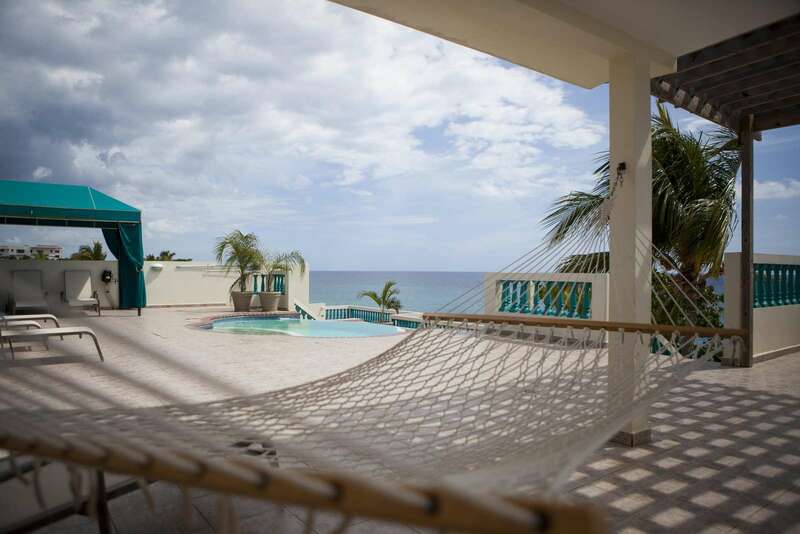 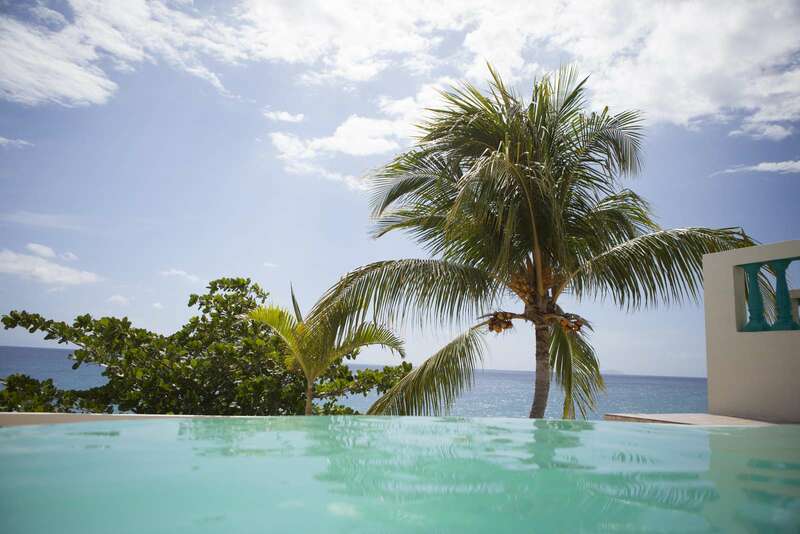 The back of the villa offers a spacious, covered oceanfront patio with dining area and hammock. 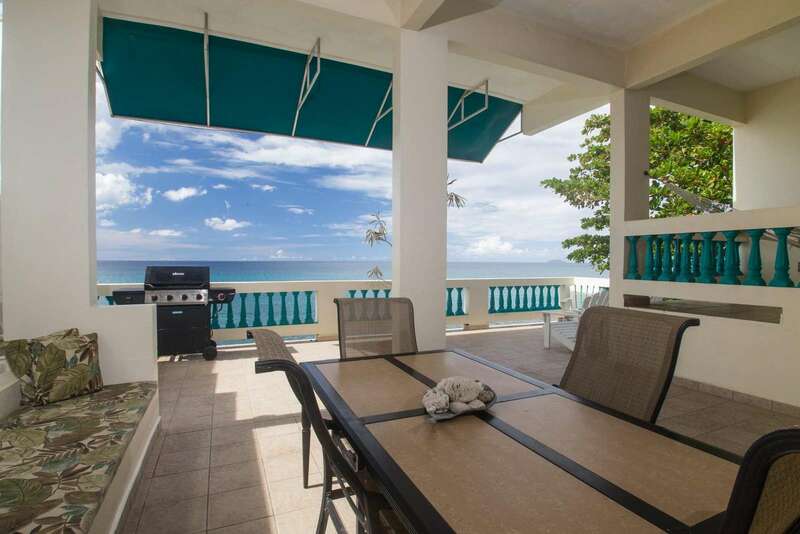 Perfect for gathering the group together or relaxing while enjoying the sunset and ocean breeze. 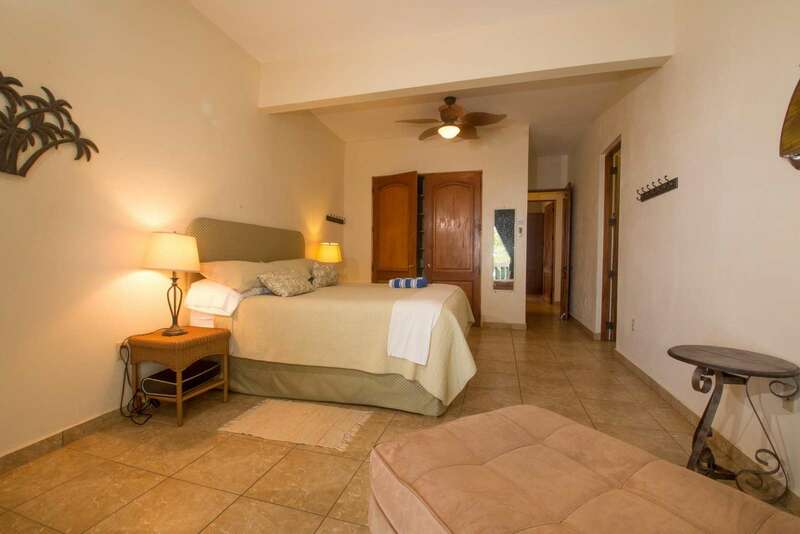 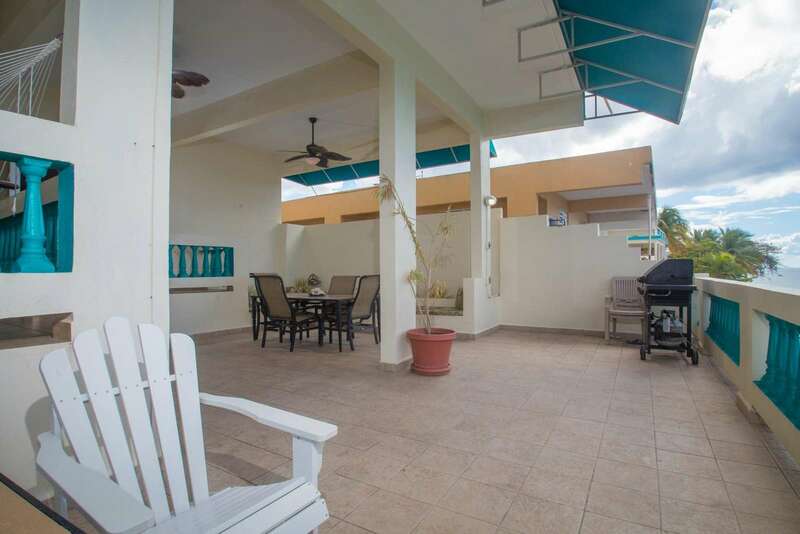 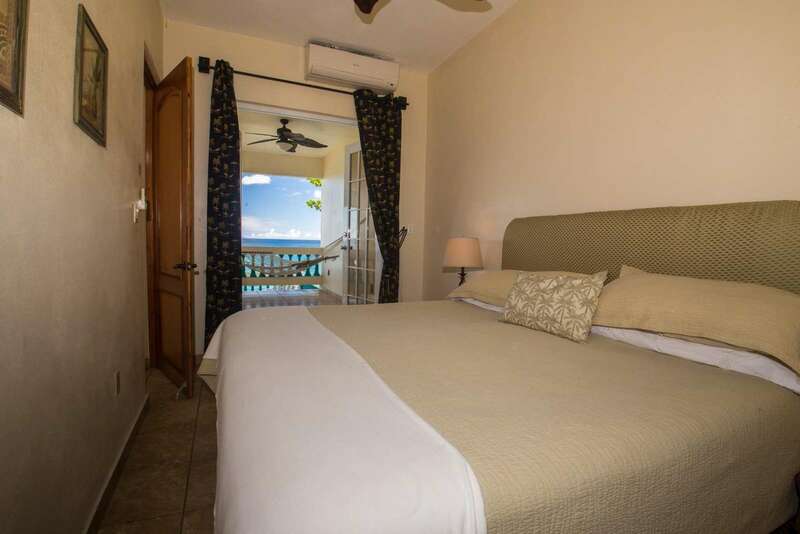 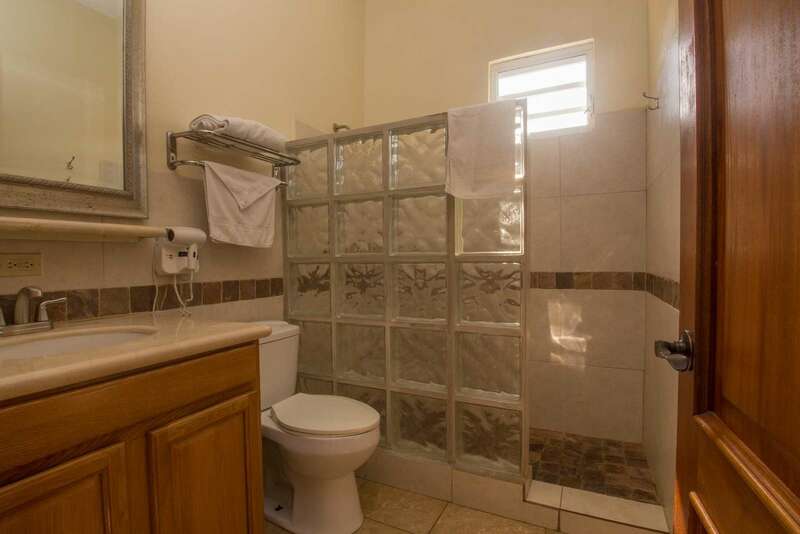 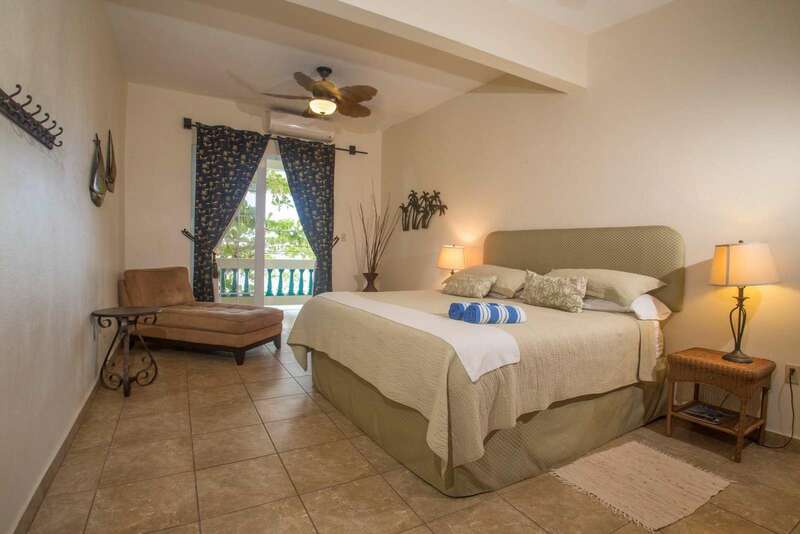 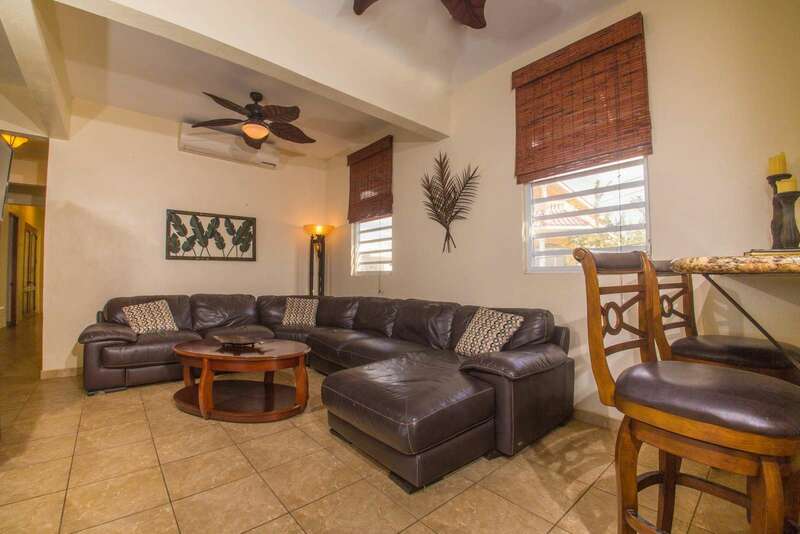 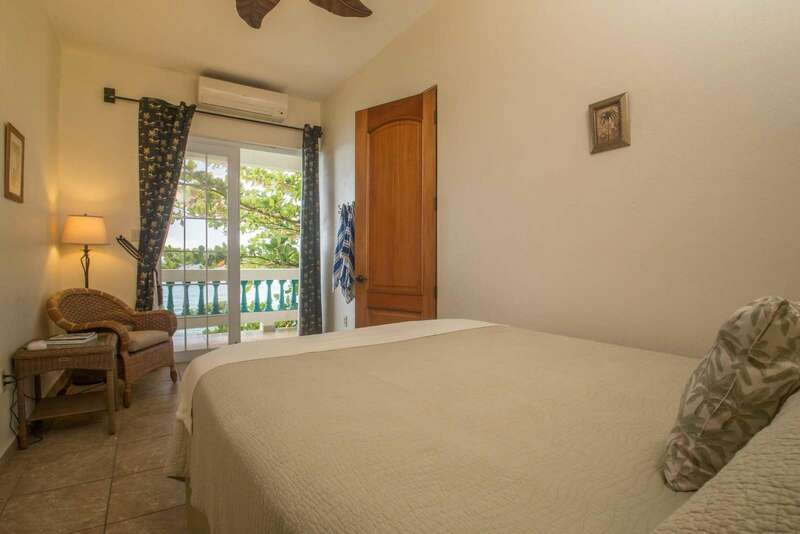 Villa 3 Upper has direct access to our spacious, 2 bedroom Villa 2 Upper unit, allowing for the possibility of seven bedrooms a few steps away.